On this page, you'll find links to Jewish activities around the globe that have some strong element of high levels engagement, reflection and no small amount of smiles. Naturally, please send us more links and ideas at your leisure, like when you're noshing and you have brainstorm or an etsah (advise) to give to the Jewish Surfer! We've listed adult, teenage and kid activites and more below. Citing Nachmun of Bretslev on newness and experience, Outdoor Jewish Adventures promises the following: "Our programs take you to wild, beautiful places in order to experience the spirituality and wonder of nature in a Jewish context. We let nature teach us about our Jewish roots (shoreshim) and learn from Judaism how we can better care for Creation. Explore creation while you explore your spirituality, your community and yourself." 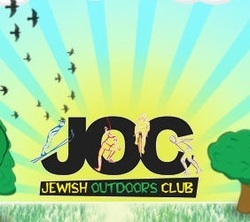 Jewish Outdoor Adventures, (JOA) is based in sometime sunny Southern California, and is "a community based, not-for-profit organization whose purpose is to create an alternate social arena for members of the Jewish community in the Los Angeles Area. Activities include day hikes, moonlight hikes, and other outdoor activities. _ Again we say, to become a Jewish surfer, or friend thereof, you gotta love the outdoors. Enter MOC: "Mosaic Outdoor Clubs of America is an all-volunteer run, non-profit international organization dedicated to building a vibrant community of Jewish outdoor enthusiasts, across the U.S. and Canada, who share a love and care for the great outdoors while building Jewish continuity"
Adama camping sounds like where we'd want our kids to go if we weren't making them surf so much: "Adamah Adventures — a new Jewish adventure camp invites Jewish teens to take on some of the country’s most thrilling, awe-inspiring outdoor adventures. During the 18-day program, campers work in small groups alongside highly trained staff members to experience both the thrill and the quiet — the whitewater and the campfire — and at the end of each week, an enthusiastic Shabbat under mountain stars." ___In terms of sustainability, clearly more than the oceans must be cared for (which we love! ); we present Eden Village Camp, an innovative Jewish organic farm camp. Eden Village brings a focus on all-organic food & farming, creative arts and wilderness to the best of traditional overnight camp. 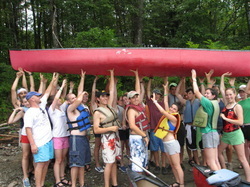 Campers and teens emerge Jewishly connected and inspired, with new outdoor-living skills as well as "soft" skills that help them thrive in community, like teamwork, goal-setting and clear communication. They're located 50 miles north of NYC on 248 gorgeous acres. Their 3rd – 11th grade campers and teen apprentices enjoy organic farming, outstanding organic Kosher food, animal care, wilderness adventure, natural science, a zero-waste goal, a pool & lake, music, arts, sports, service projects, exceptional staff in a 3:1 staff:camper ratio... all in a vibrant, diverse Jewish community! So you want to surf and be a well rounded athlete? Oy! Look no further for the well rounded part: "Located in beautiful Greensboro, NC, 6 Points Sports Academy is housed on the 100 acre, state-of-the-art athletic and camp facilities of the American Hebrew Academy. At 6 Points, young Jewish athletes from all over North America participate in a unique camping experience that offers top-level sports training and all the beloved traditions of Reform Jewish camping. Within this community, campers form friendships for life and achieve a higher quality of life as young Jewish athletes. 6 Points campers are athletes, ranging in age from 10-16, (entering 5th - 11th grade), who are looking to improve their game, meet new friends and explore their own Jewish identity. During two weeks sessions, campers participate in intensive training in one chosen sport and select two electives for cross conditioning. For a well-rounded camp experience, campers also participate in traditional camp activities, while living among other athletes, learning sports and life skills from professional coaches and Jewish counselors." Maybe you've never heard of Camp Ramah. Well, maybe you should have, especially if it gives you the skills to survive in the wilderness, a necessary part of any real surf trip. "Our mission is to provide outstanding outdoor adventure experiences that teach Jewish values and leadership skills and influence the character development of Jewish youth. We do this through intense community building at base camp and on adventure trips.... Through an appreciation of nature, chalutzim (lit pioneers, i.e campers) and madrichim of Ramah Outdoor Adventure will learn to embrace our world’s beauty and gain a sense of personal responsibility for its treasures. Our program encourages its chalutzim to challenge their personal physical limits and to feel confident in their natural surroundings. We strive to build a supportive Jewish community to serve as a paradigm for their adult Jewish lives." _The International Jewish Sports Hall of Fame has the following to say: The International Jewish Sports Hall of Fame/Yad Le'ish Hasport Hayehudi was formally inaugurated on July 7, 1981. Its predecessor, the Jewish Sports Hall of Fame, was founded in the United States in May 1979. The original Hall of Fame included only American honorees. 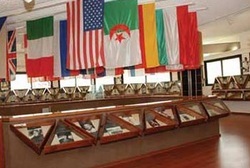 The International Hall of Fame honors athletes and sportsmen and sportswomen throughout the world. The purpose of the IJSHOF is to honor Jewish men and women, worldwide, who have accomplished extraordinary achievements in sports and to recognize other Jewish men and women, through its Pillar of Achievement, who have made significant contributions to society through sports." So the question is, do they have their eyes turned as well to the surfing / skating / snowboarding / kite boarding / wake riding etc. world? 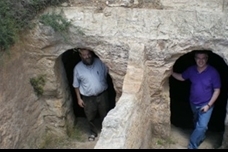 _Halachic adventures, has been introduced to the Jewish Surfer through Rav Hayim Leiter and is geared to providing both information about Practical Halachah (collective body of law, obligations), , Mesorah (transmission of religious tradition) and History (what's not to like about history?). There's eating involved to be sure and much more. Rabbi Dr. Ari Zivotofsky and Dr. Ari Greenspan are hard at work preparing religious / cultural meals that are rich in history (and calories? ): "Like in the previous dinners held in Jerusalem and then in NY and LA with the OU, We will be serving bout 15 courses including birds, fish, meat and locusts with short shiurim between courses describing the halacha and halachic history of each item. Each participant will receive a serious large printed source book of all tshuvot and issues on the topics." Ok, so maybe they don't surf. And maybe they do. Regardless, there's a special place in our hearts for this creative bunch! "CHANUKAH IN THE PARK 2011: TUESDAY 20 DECEMBER. Get ready and reserve the date for this year's super event. Featuring first ever 'Surfboard Menorah' lighting in Australia, live Band and a spectacular Fire Show not to be missed. Giant Slide • Bat Tower Ride • Camel Rides • Cup and Saucer Ride • Gladiator Challenge, BBQ Galore & Kebab sticks • Fish and hot sizzling chips • Fresh Donuts • Animal Farm • Great raffle and prizes and much more. Be there on Tuesday December 20th at 5:30pm at Neil Shannon Park - corner Gold Coast Highway and Beach Road, next to the Surfers Paradise Bus Terminal. This promises to be the biggest ever Chanukah communal celebration with special dignitary guest speakers. For more information and details call our office on 5570 1851." Traveling Joseph Borress, aka "Joe" has a well rounded blog about his "take on learning to surf as an adult and how it has been an amazing journey" as he "travels around to catch waves." Like many of us here connected to The Jewish Surfer, he also is highly engaged in other board sports and he "loves to longboard skateboard and snowboard!"